There is just so much weirdness in the world that I could comment on, but I don’t even know where to begin. 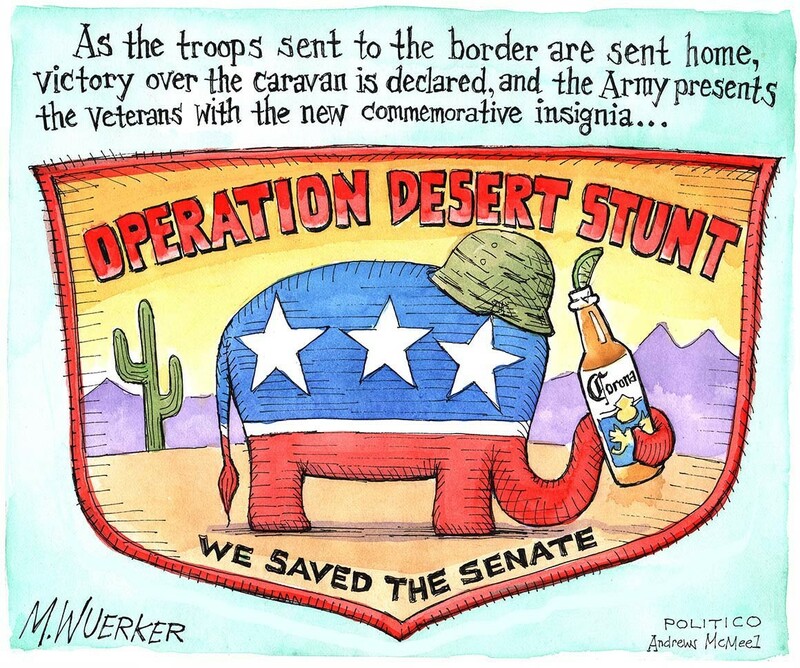 Trump administration to pull troops from border just as migrant caravan arrives — proving it was all a stunt. 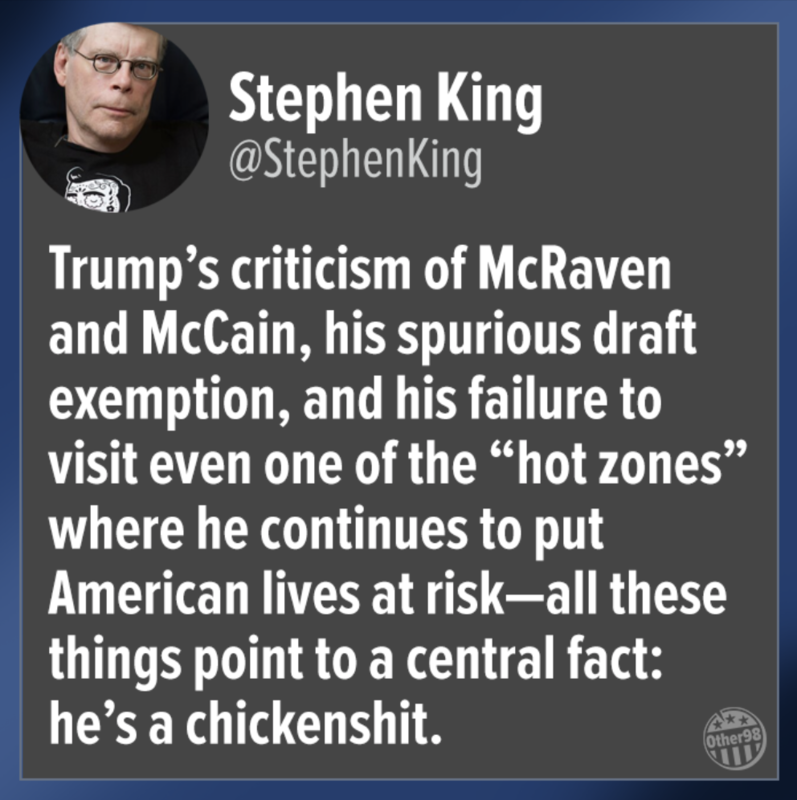 Don’t forget the troops missing Thanksgiving with family in service of Trump’s political stunt. Trump rips retired Adm. William McRaven for not capturing Osama bin Laden sooner. Retired Admiral McRaven repeats: Trump’s media attacks ‘greatest threat to our democracy’. 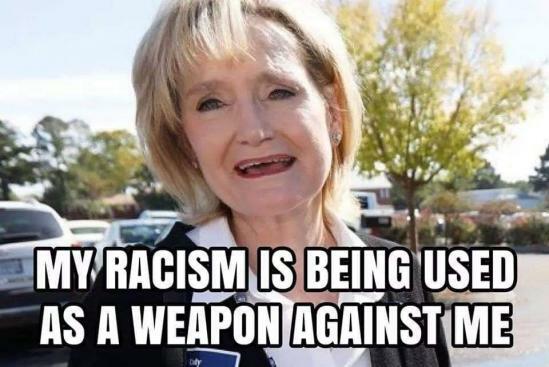 Cindy Hyde-Smith sent her daughter to a private school created to help white kids bypass integration – It’s the latest detail that gives context to the lynching “joke” from the US senator from Mississippi..
Walmart asks Mississippi’s Hyde-Smith to return donation after ‘public hanging’ comment. Cindy Hyde-Smith has embraced Confederate history more than once in her political career. 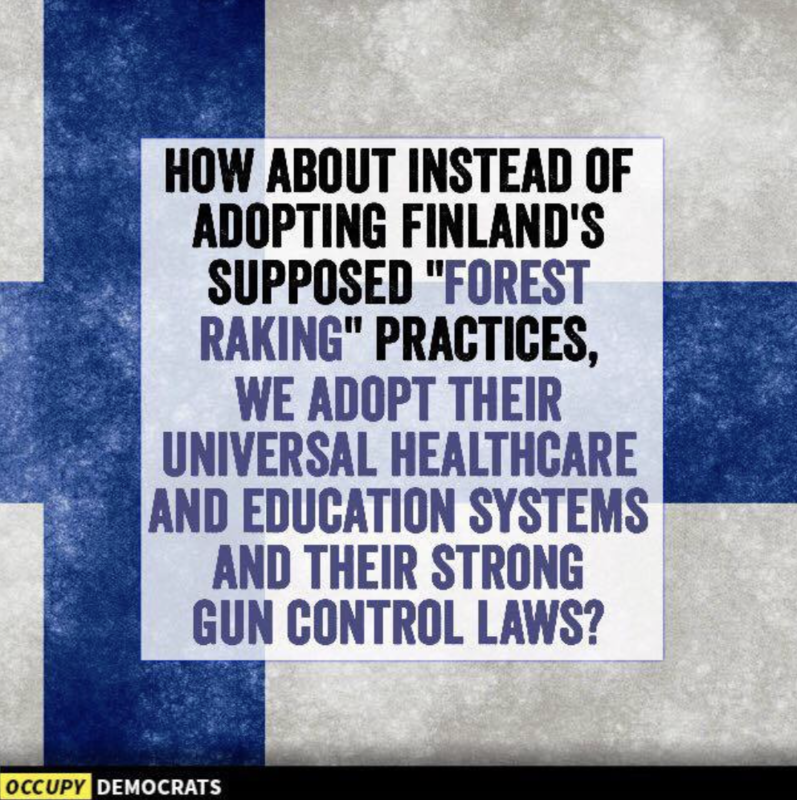 Finland baffled by Trump’s comments about raking leaves to prevent forest fires. Folks in Finland churn out hilarious memes mocking Trump’s raking comment. 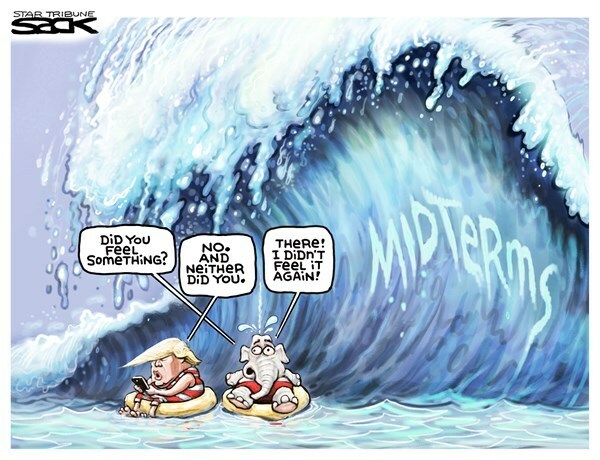 Poll: Democratic voters back Pelosi as speaker by wide margin. Republicans declared war on Nancy Pelosi — and she won.